All sections of GT 1000 utilize upper-class peer leaders referred to as “Team Leaders” or “TLs.” Team Leaders are students who volunteer to work closely with the class instructor to facilitate small group interaction and offer advice and support to first-year students. The Team Leader program enhances student success through peer guidance, GT 1000 instructor support, leadership skills development, community building, and familiarity with Georgia Tech resources. Team Leaders foster a support network for incoming Georgia Tech students by building relationships with students in GT 1000 classes, introducing them to Georgia Tech resources, and helping familiarize them with campus culture. Team Leaders serve as resources to GT 1000 instructors by communicating student needs, assisting in classroom presentations, and building a classroom community. Strengthen their personal leadership identity. Learn to effectively work and collaborate with their GT 1000 instructor. Demonstrate effective oral presentation skills. 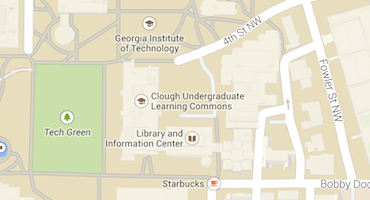 Enhance their understanding of Georgia Tech culture and resources. To learn more about the qualifications and process for becoming a GT 1000 Team Leader, please click here.